Walled gardens are a fascinating kind of garden that were once common in England and some of which have been restored. In Britain there are many walled gardens, many of which are in old stately homes and country houses. These are often the kitchen gardens, which were established to feed the great families who dwelt in country houses. Not only were the families fed,but also the household comprised of butlers and other servants. While the days of the stately home are, if not gone, seriously diminished, the walled gardens remain and form not only window on the past, but are also what I believe to be a really desirable form of gardening with much going for it. When Tim Schmidt and his friend John Nelson broke through the overgrown and matted foliage into the Lost Gardens of Heligan they entered a forgotten world. In the midst of the overgrown walled kitchen gardens they stumbled on a decaying greenhouse,whose wooden walls had rotted with age, the crazily leaning fineal serving as a metaphor for the lost grandeur of the place. Schmidt and Nelson trod carefully through the decaying structure, before deciding that such deterioration of a beautiful place should not be tolerated They had stepped into a lost world, a garden that was once the pride of South West Britain. Why had it decayed and been abandoned? The two friends soon found out.Schmidt discovered the names of several gardeners written as graffitti in the toilets. The same names were found on the local cenotaph, which revealed that sixteen of the twenty gardeners had died in World War 1,killed fighting in the Cornwall Light Infantry. The few who survived were insufficient and the family who employed them were economically stretched and emotionally exhausted, so the gardens fell into the decay from which Tim rescued them over sixty years later to form one of Cornwall's prime tourist attractions. The extensive gardens contained a variety of features, including a walled kitchen garden. It was this kind of garden that was the pride of the English country house in the period before World War 1.It was a garden that might cover several acres and which fed not only the great family, but also the servants and estate workers. Concealed within four walls was a richly productive garden in which a wide variety of fruit and vegetables flourished and in which several men worked long hours achieving horticultural perfection using the technology available at the time. 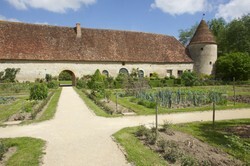 The gardens produced fruit and vegetables, both within and without their walls. Outside the walls the slips, the areas beyond the walls, were used for the extra production of coarse vegetables, such as cabbage and potatoes, which were required in bulk and which sometimes took up whole fields,but within the walls there was a rich variety of vegetables and fruit requiring subtle cultivation. In the slips were the manure yards and various sheds, but inside the walls was where the skilled and dedicated horticulture took place, and inside were the main paths on which the owners would take their guests for strolls to show off the productive gardens. At the heart of the country house walled garden system was the relationship between head gardener, owner and cook. The owner wanted food all year round, regular cut flowers for the house, and also exotic vegetables and fruit to show the owner's status to visitors. The head gardener must supply them. But on a daily basis the head gardener used to negotiate with the cook, who would tell him what vegetables she wanted [Cook was always she, just as gardener was always he.] His daily ritual involved a visit to Cook. A less desirable ritual was given to one of the garden boys, who in an age before flush toilets existed was detailed to collect the night soil that the house had produced for use in the gardens. But at least he could have a quick chat with the maids. The walled garden of an English country house was technologically sophisticated according to the standards of the time and the garden was well planned. Fruit trees were grown espaliered along south facing walls, as you see in the image below, but north facing walls were used for hardier plants. Affixing trees to walls was the job of the head gardener, or a well trained garden worker, as it is a skilled task. Sometimes the walls contained flues to channel hot air up from the boiler room which was at the secret heart of the greenhouse system. This meant that being a gardener did not involve always working in the open air, but stoking the coal fired furnaces that powered the greenhouses and heated walls. It involved clearing the soot that was left in the furnaces, which was allowed to mature in the slips and then applied to the soil, as the black residue of burning nourished and warmed it. Heligan also dealt with water shortages by having a ram pump to power water uphill to the gardens, and the quiet of the gardens would be disturbed by the booming of the coal powered ram. Heating the greenhouses was a full time operation, and there had to be gardeners on night duty. This was a task for an apprentice gardener, who proved his diligence by sleeping in a special room near the greenhouses, from which he would rise in the night to stoke the boilers. Yet simple technology was operative. At Heligan Gardens, but a mile or so away from the English Channel, carts regularly went down from the gardens to the beach to collect seaweed.On the morning after a storm the garden lads would come down and load the carts from the weed washed ashore on the beach. It would then be strewn on the garden to decay. Other lads would take manure from the home farms attached to the estate. Growing pineapples was a sophisticated task, but one that brought high status to the owner and the head gardener. English head gardeners developed a hot bed system in which manure was allowed to rot down,producing heat as it did so, and the resulting hot air circulated through gaps in the brickwork to maintain the right temperature for growing pineapples. 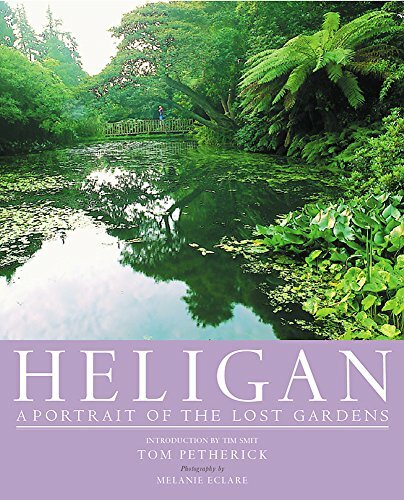 You can find a diagram in the book, The Lost Gardens of Heligan, advertised below. Tending the pineapple pit was a task for the head gardener and those gardeners who had earned his trust. It was not easy. 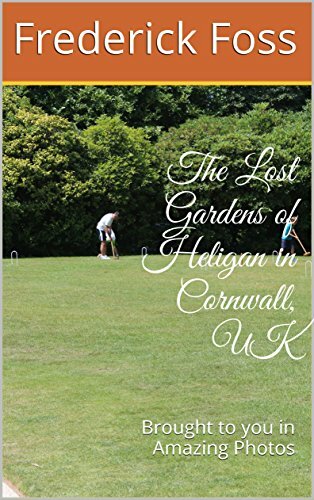 The Lost Gardens of Heligan are no longer lost, but well and truly found again and have now been turned into a major tourist attraction in South Cornwall. I first heard of them in a television programme about the restoration and eagerly bought the book of the series. It was to be years before I could travel the three hundred and fifty miles to Cornwall and see the gardens, When a dream comes true it is so inspiring. I wandered through the extensive grounds and dwelt lovingly on the experience of the walled garden. I was a voyager who had long yearned for the vision that he was enjoying. While the gardens are run as a Victorian garden, they have had to adapt to the times. Heligan was up to date with the latest garden technology, but then they knew not organics. Now we do, so Heligan is an organic garden,thus being true to its commitment to horticultural best practice. Then it served the great house, which was later sold and let as flats, so now it serves the site restaurant. And there are female gardeners, I spotted some competent young women busily at their labours. One was opening and restocking a cold frame, one of several near the potting shed. Yet while I have given you a sip of the horticultural champagne with which Heligan intoxicates its visitors, there were other walled gardens in Britain. One was Chilton Foliat in Berkshire. This was the walled garden featured in the series The Victorian Kitchen Garden. During the war the house was commandeered by the admiralty, the commanders of the navy, and Harry Dodson, a gardener discharged from the army on medical grounds, was charged with feeding several hundred naval staff. In later life Harry was to hear that the garden was to be sold off, and so he summoned up the money to make a bid for it, setting it up as a plant nursery. 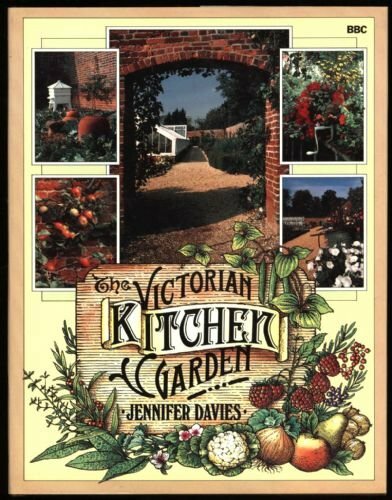 Chilton Foliat was explored and extolled in the DVD the Victorian Kitchen Garden, which takes the viewer on a peaceful stroll into an older, gentler England, before modernity took away the charm. Harry was the last of his kind, the head gardener of a walled country garden, preserving his art into an age which valued him only as curiosity, but giving us something precious. But Chilton Foliat is the opposite of Heligan. As one was revived, the other died. When Harry passed away in 2005 his garden and his way of life died with him. If you want to enjoy Chilton Foliat there is only the dvd that shows what it was like. There you will meet Harry, whose voice speaks through time of an England that once was. I am looking into walled gardens to find others that I could write about, but getting to some of them involves travel,and with my garden and my work for the allotment society time is not abundant. frankbeswick, Thank you for the walled gardens history. It's interesting to learn of early recycling of "night soil" into kitchen fruit and vegetable gardens. 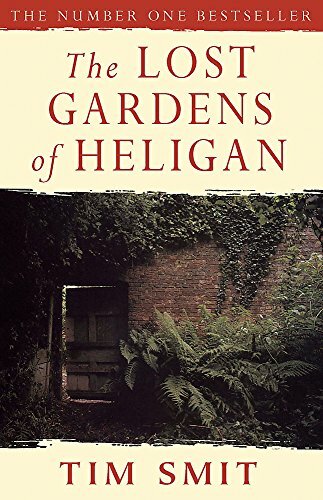 It's reassuring to read about Heligan and sad to read about Chilton Foliat. It makes one appreciate the technology that preserves the sights and sounds of a place that's now a space in history. 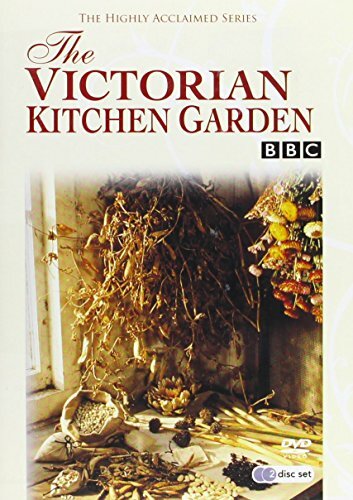 I loved the book,The Lost Gardens of Heligan, and when I finally managed to visit the gardens they lived up to my expectations.I sometimes watch the dvd of the Victorian Kitchen Garden. It is so peaceful. I love the look of wall gardens. Interesting choices in books too. The book,The Lost Gardens of Heligan, gives an insight into the difficulties that the Victorians faced when providing the heat for pineapple growing. The hot bed technique had to be refined to take it to the level at which it could provide sustainable heat for the pineapples. Modern heating systems provide better heat conditions, but they are oil based and therefore not sustainable in the future. Some very serious planning for sustainable energy is going to be necessary. A great insight into the past. I was surprised to read of pineapples, and never thought of a greenhouse having a furnace. Here, winters rarely bring freezing temperatures. There is a tour of the Norton Priory walled garden on Monday 9th May at 7pm . £3 a person. Norton Priory is an excellent place for a Cheshire visit. I will go there again in Summer I think. It would be a good day out for your family I think. Thanks, I did not know of Norton Priory, but of course Cheshire is one of your specialist areas. Often called grandma’s garden, the English Cottage garden enjoys immense popularity in the heart of English people. The British allotment movement grew out of the agricultural and industrial revolutions and brought about a major improvement in the lives of the British people.